Sweat-shirt 4F H4L18PLD001 rose Disponible en taille femme. EU S,EU XL. . Femme > Vetements > Sweat-shirt. Sweat-shirt 4F H4Z18BLD005 multicolor Disponible en taille femme. EU S,EU M,EU L,EU XL,EU XS. . Femme > Vetements > Sweat-shirt. Sweat-shirt 4F H4Z18PLD002 multicolor Disponible en taille femme. EU S,EU M,EU L,EU XL,EU XS. . Femme > Vetements > Sweat-shirt. Sweat-shirt 4F H4Z18PLD002 multicolor Disponible en taille femme. EU S,EU M,EU XL,EU XS. . Femme > Vetements > Sweat-shirt. Sweat-shirt 4F H4Z18PLD004J multicolor Disponible en taille femme. EU S,EU M,EU L,EU XL,EU XS. . Femme > Vetements > Sweat-shirt. Sweat-shirt 5preview BAY Femme Gris Gris Disponible en taille femme. IT S. . Femme > Vetements > Sweat-shirt. Sweat-shirt Abk Climbing Sweat à Capuche Abk Apache Hoodie Mid Grey Gris Disponible en taille femme. EU S,EU M,EU L,EU XS. . Femme > Vetements > Sweat-shirt. Sweat-shirt Abk Climbing Sweat à Capuche Abk Park Fur Acaï Berry rouge Disponible en taille femme. EU S,EU M,EU L,EU XS. . Femme > Vetements > Sweat-shirt. Sweat-shirt Abk Climbing Sweat Abk Cadiz Craie Marron Disponible en taille femme. EU L,EU XS. . Femme > Vetements > Sweat-shirt. Sweat-shirt Abk Climbing Sweat Abk Lindau Dark Fig violet Disponible en taille femme. EU XS. . Femme > Vetements > Sweat-shirt. Sweat-shirt Abk Climbing Sweat Abk Park Petrol Marine bleu Disponible en taille femme. EU XL,EU XS. . Femme > Vetements > Sweat-shirt. Sweat-shirt Abk Climbing Sweat Abk Taipei Craie Marron Disponible en taille femme. EU XL. . Femme > Vetements > Sweat-shirt. Sweat-shirt Abk Climbing Tee-shirt Abk Miaoli Tee Ls Old Violet rose Disponible en taille femme. EU S,EU M,EU L,EU XS. . Femme > Vetements > Sweat-shirt. Sweat-shirt Acne Studios 1HP166 sweat-shirt Femme gris Gris Disponible en taille femme. EU S,EU XS. . Femme > Vetements > Sweat-shirt. Sweat-shirt Acne Studios 1HP166 sweat-shirt Femme noir Noir Disponible en taille femme. EU S,EU XS. . Femme > Vetements > Sweat-shirt. 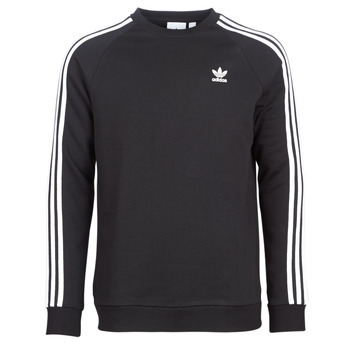 Sweat-shirt adidas 3 STRIPES CREW Noir. Sweat-shirt adidas 3 STRIPES FZ Noir. Sweat-shirt adidas 3str Zip Hoodie Giacchetto Donna Rosa DN8150 rose Disponible en taille femme. IT 38,IT 40,IT 42,IT 44,IT 46. . Femme > Vetements > Sweat-shirt. Sweat-shirt adidas ADIDAS SQUADRA 17 JSY LS Maillot manches longues - Blanc blanc Disponible en taille femme. EU S. . Femme > Vetements > Sweat-shirt. 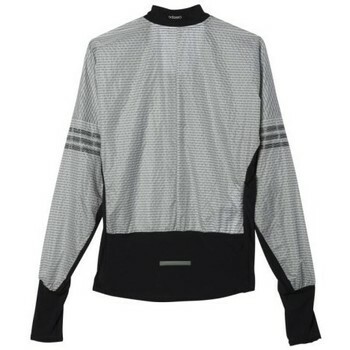 Sweat-shirt adidas Adizero Climaproof Jacket W multicolor Disponible en taille femme. EU S,EU M. . Femme > Vetements > Sweat-shirt. Sweat-shirt adidas Aop Hoodie Femme Veste Gris Gris Disponible en taille femme. EU XS. . Femme > Vetements > Sweat-shirt. Sweat-shirt adidas Away Day Crew Femme Sweat Shirt Gris Noir Noir Disponible en taille femme. EU M,EU L. . Femme > Vetements > Sweat-shirt. Sweat-shirt adidas Beckenbauer multicolor Disponible en taille femme. EU S,EU M,EU L,EU XS. . Femme > Vetements > Sweat-shirt. Sweat-shirt adidas Bf Hoodie Felpa Donna Grigia Cotone Felpato DH3154 Multicolor Disponible en taille femme. Unique. . Femme > Vetements > Sweat-shirt. Sweat-shirt adidas CAMO OTH HOODY Noir. Sweat-shirt adidas CE2409 rouge Disponible en taille femme. FR 38. . Femme > Vetements > Sweat-shirt. Sweat-shirt adidas CF0334 Noir Disponible en taille femme. EU S,EU M,EU L,EU XL,EU XS. . Femme > Vetements > Sweat-shirt. Sweat-shirt adidas Co fl nv mel cap sw lady bleu Disponible en taille femme. EU XS. . Femme > Vetements > Sweat-shirt. Sweat-shirt adidas Colorado Hood Femme Sweat Shirt Noir Noir Disponible en taille femme. IT 38,IT 40,IT 42,IT 44. . Femme > Vetements > Sweat-shirt. 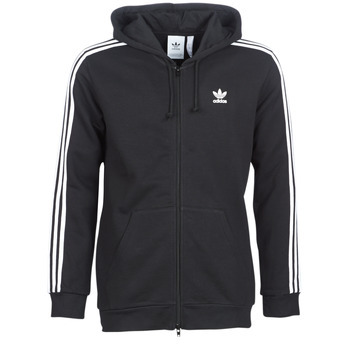 Sweat-shirt adidas Condivo 18 Polyester Jacke Women Noir Disponible en taille femme. EU S,EU M,EU L,EU XL,EU XS. . Femme > Vetements > Sweat-shirt. Sweat-shirt adidas Crewer Femme Sweat Shirt Bleu bleu Disponible en taille femme. IT 40,IT 42. . Femme > Vetements > Sweat-shirt. Sweat-shirt adidas Cropped Felpa Cappuccio Donna Bordeaux DH3115 rouge Disponible en taille femme. IT 38,IT 40,IT 42,IT 44,IT 46. . Femme > Vetements > Sweat-shirt. Sweat-shirt adidas Cropped Felpa Donna Verde DH3131 vert Disponible en taille femme. IT 42. . Femme > Vetements > Sweat-shirt. Sweat-shirt adidas Cropped Femme Sweat Shirt Noir DH3130 Multicolor Disponible en taille femme. Unique. . Femme > Vetements > Sweat-shirt. Sweat-shirt adidas Cropped Sweater "Adibreak" blanc Disponible en taille femme. FR 38,FR 40,FR 42. . Femme > Vetements > Sweat-shirt. Sweat-shirt adidas CV8646 jaune Disponible en taille femme. EU M,EU L,EU XL. . Femme > Vetements > Sweat-shirt. Sweat-shirt adidas CW1236 Noir Disponible en taille femme. EU S,EU M,EU L,EU XS,EU XXS. . Femme > Vetements > Sweat-shirt. Sweat-shirt adidas CW1238 bleu Disponible en taille femme. EU M. . Femme > Vetements > Sweat-shirt. Sweat-shirt adidas CW1239 Beige Disponible en taille femme. EU S,EU M,EU L,EU XS,EU XXS. . Femme > Vetements > Sweat-shirt. Sweat-shirt adidas CW1240 Noir Disponible en taille femme. EU L,EU XL,EU XS. . Femme > Vetements > Sweat-shirt. Sweat-shirt adidas CW1245 rose Disponible en taille femme. EU M,EU XL. . Femme > Vetements > Sweat-shirt. Sweat-shirt adidas CW1246 Noir Disponible en taille femme. EU S,EU M,EU L,EU XS,EU XXS. . Femme > Vetements > Sweat-shirt. Sweat-shirt adidas CW1248 vert Disponible en taille femme. EU S,EU M,EU L,EU XS,EU XXS. . Femme > Vetements > Sweat-shirt. Sweat-shirt adidas CX1896 Beige Disponible en taille femme. EU S,EU L,EU XL,EU XS. . Femme > Vetements > Sweat-shirt. Sweat-shirt adidas CX1897 rouge Disponible en taille femme. EU XL. . Femme > Vetements > Sweat-shirt. Sweat-shirt adidas CZ2942 rouge Disponible en taille femme. EU S,EU M,EU L,EU XL. . Femme > Vetements > Sweat-shirt. Sweat-shirt adidas CZ5725 Gris Disponible en taille femme. EU S,EU M,EU XS. . Femme > Vetements > Sweat-shirt. Sweat-shirt adidas CZ5726 Autres Disponible en taille femme. EU S,EU L,EU XS. . Femme > Vetements > Sweat-shirt.